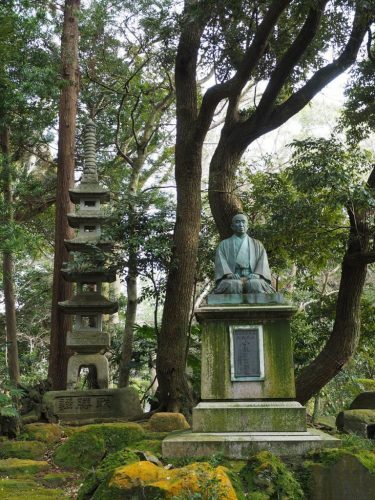 If you have never set foot in Japan, and are going to be at Narita Airport for a few hours, I strongly encourage you to go to Narita-san (成 田 山). 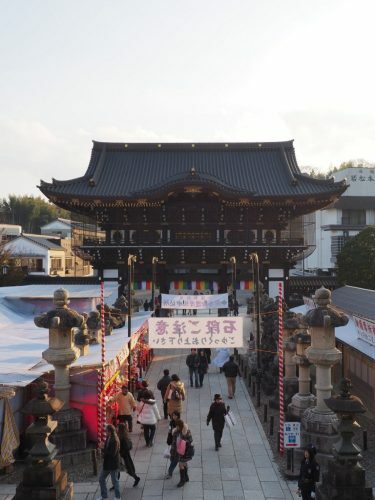 It is a beautiful temple area surrounded by a traditional small town with many shops. 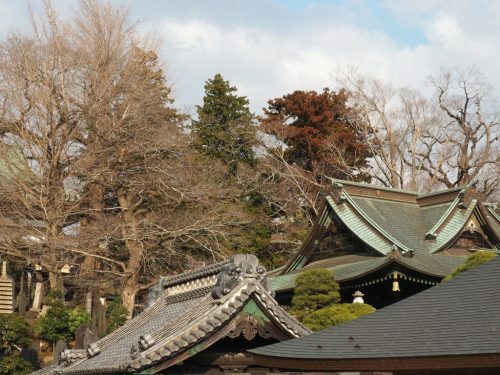 The temples and surrounded park is more than 17 hectares. 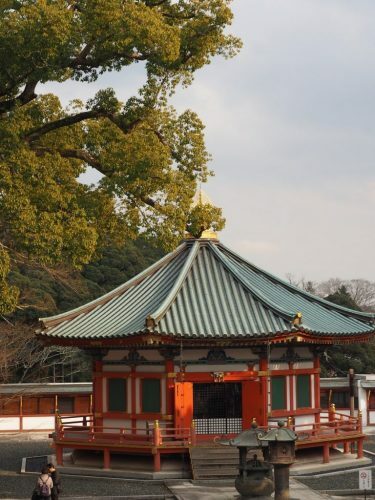 In existence since 940, the main Shinshô-ji Temple (新 勝 寺, the “new temple of victory”) is run by the Shingon Buddhist sect. 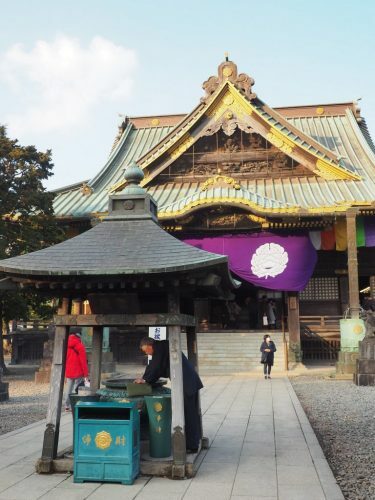 Legend has it that the temple was created after the priest Kanchō Daisōjō ended the samurai rebellion led by Taira no Masakado through prayer. Then, the great deity Fudomyo spoke to him, and ordered him to stay in Narita, to take care of those in the surrounding areas. 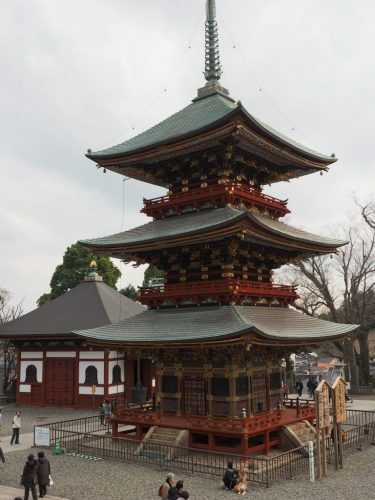 Many temples and pagodas were later built on this site. 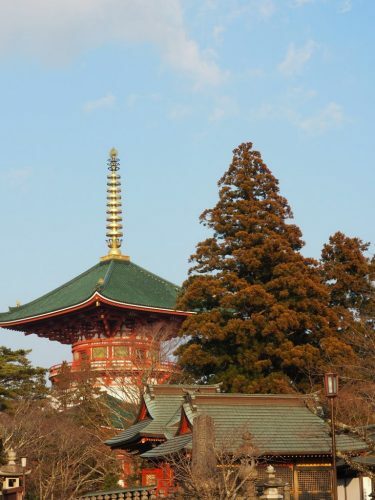 These include the beautiful Three-Storey Pagoda with its beautiful base in the main courtyard, and the Great Peace Pagoda overlooking the park. 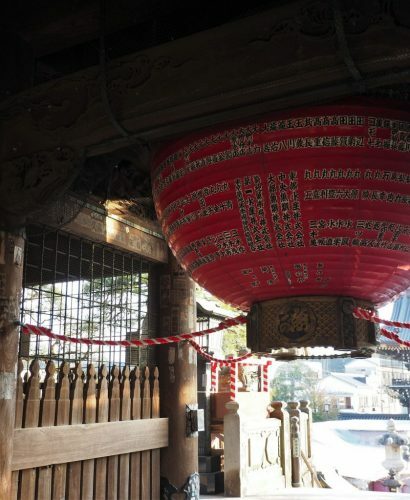 In 1703, during the Edo period, the popular kabuki (traditional Japanese theater) actor, Danjuro Ichikawa, who found himself without an heir, came to pray to the great deity Fudomyo. She granted him his wish. 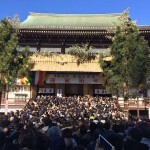 Afterwards, as token of gratitude, the actor performed on stage a piece in homage to the deity. 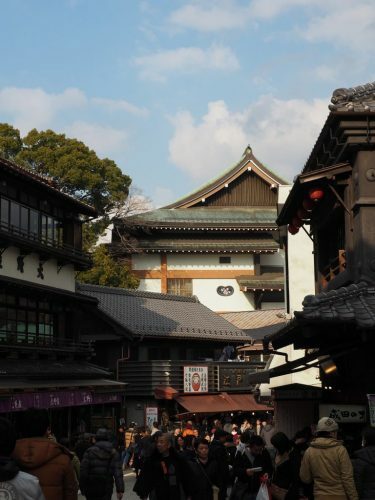 The piece became huge success and helped in the spread of kabuki throughout Japan. 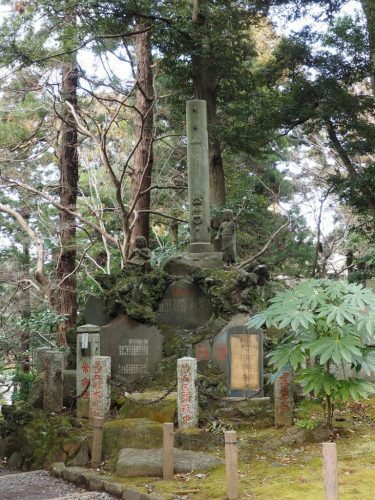 Since then, the descendants of Ichikawa have continued to nurture the particular religious bond that binds them to Narita-san. The actor Ebizo Ichikawa XI is the current Ambassador of Narita, to promote the traditional theater arts. 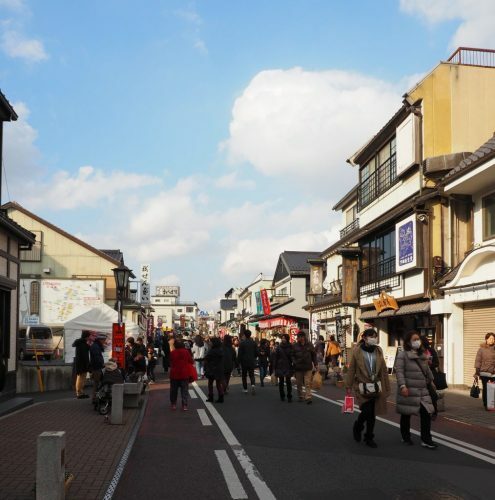 Arrive at Keisei Narita Station and your journey begins with a wander through Omotesando Street. 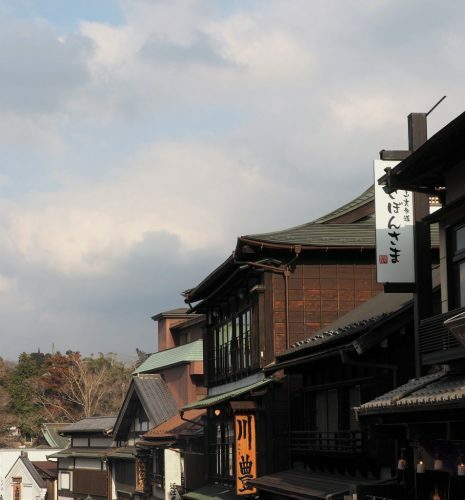 This main street is filled with restaurants and souvenir shops, many of which are centuries old. 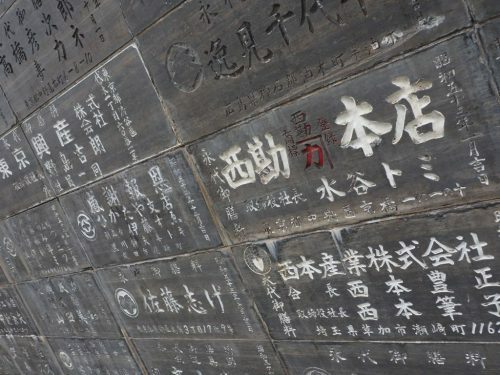 In addition, street will lead you to the temples. Don’t leave without an omiyage, a small gift to bring back from your trip for your loved ones. 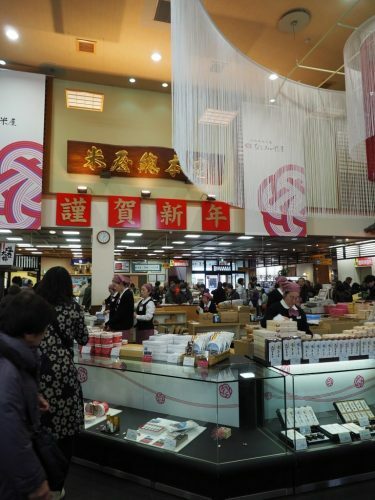 In Japan, these omiyage are usually a box of local culinary specialties. 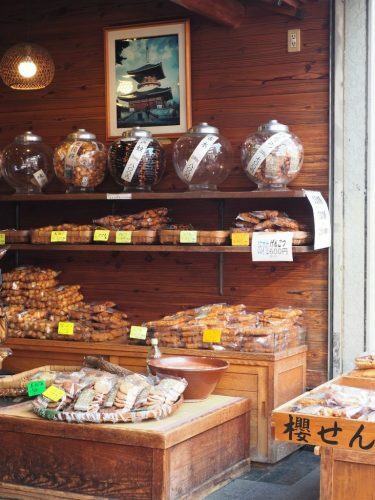 On Omotesando, you will have many options for omiyage, including: delicious yokan with chestnut (sweets made from red bean paste) sold at the Yokan Museum; Japanese crackers, local beer, sweet potatoes cooked on hot stones (costing just 100 yen) or honey products from Japan from the Sugi Bee Garden Store. If you’re hungry, indulge your taste buds by trying a traditional Japanese dish: unagi eel! 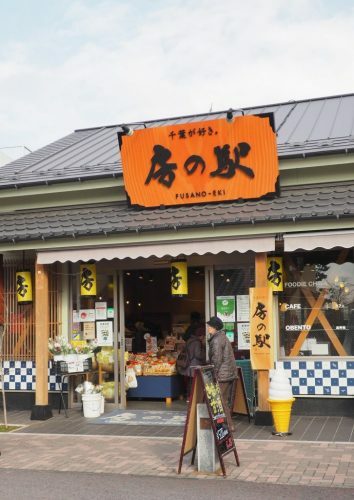 Several restaurants allow you to watch them cook your eel for you. Eat it grilled on a bowl of rice. The taste might need getting used to, but it sure it tasty! 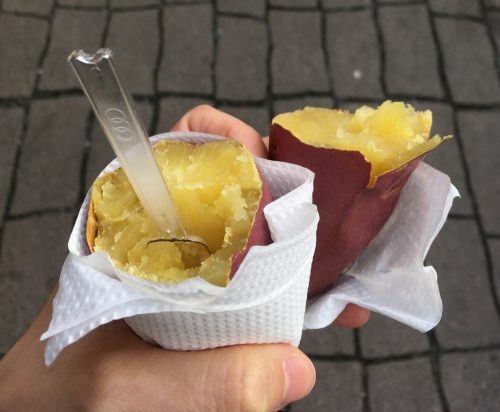 Sweet potato … a delight! 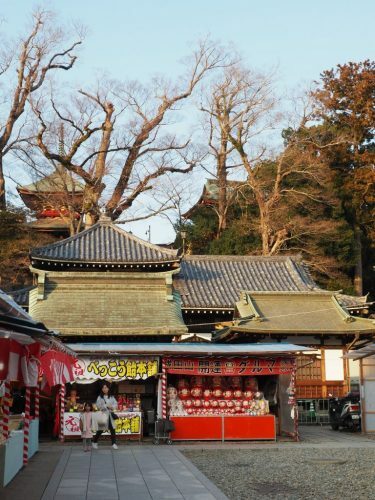 Among other things, there are many religious souvenir shops selling amulets and daruma (little statues of bodhidarma who will help grant your wishes). 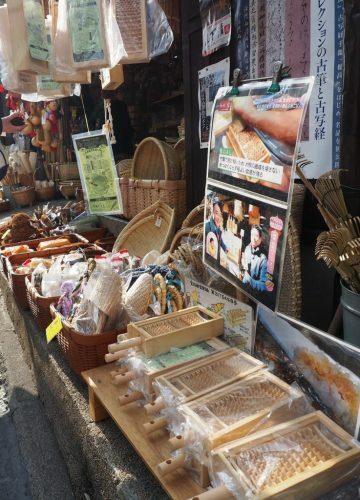 In addition, there are shops selling Japanese ceramics and other souvenirs. On weekends and holidays, the street is very busy. But don’t let this discourage you. 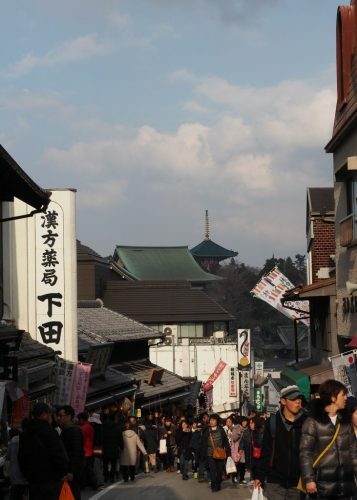 The crowded street will allow you to enjoy the local ambience! 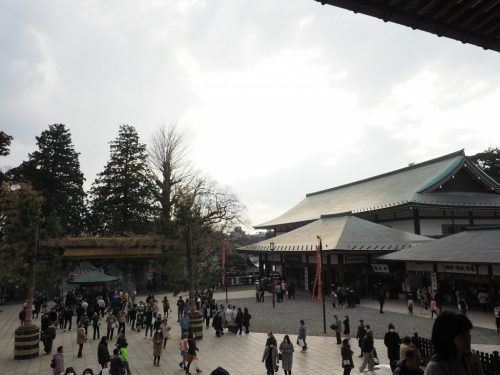 At the end of the street is the majestic entrance to the Narita-san religious complex. 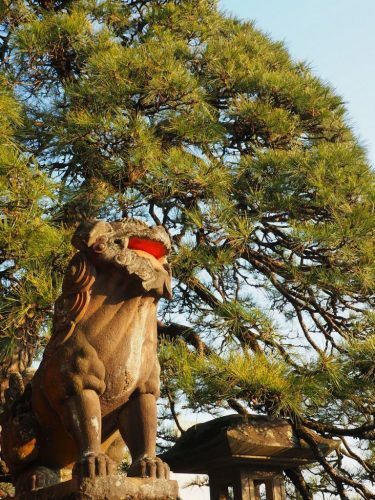 Enter this sacred area and enjoy the serenity, architectural majesty and history of Narita-san. Stay on the main path and admire the Sô-mon and Ni-ô-mon doors. 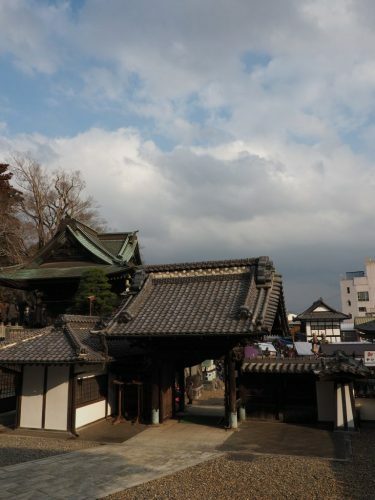 These are designated Important Cultural Properties of Japan. 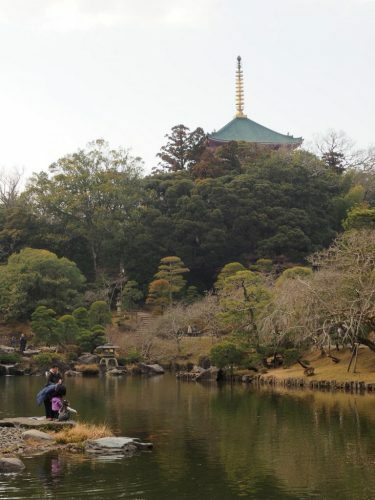 Later, stroll wherever your heart desires, and enjoy walking through the magnificent Narita park, attached to the temples. 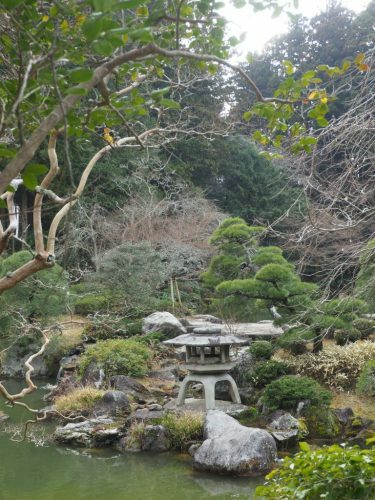 Whether it be spring, summer, autumn or winter, the beautifully cultivated garden is an enjoyable place to stroll. 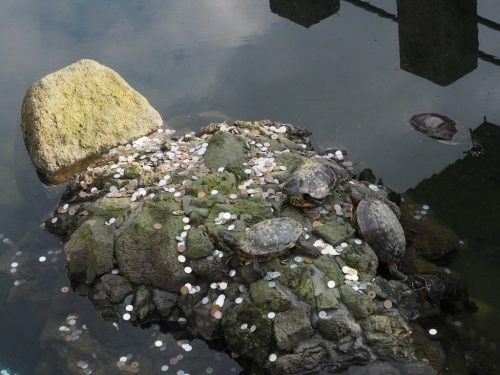 As in many tourist places in Japan, volunteer guides will always be willing to show you the site for free. 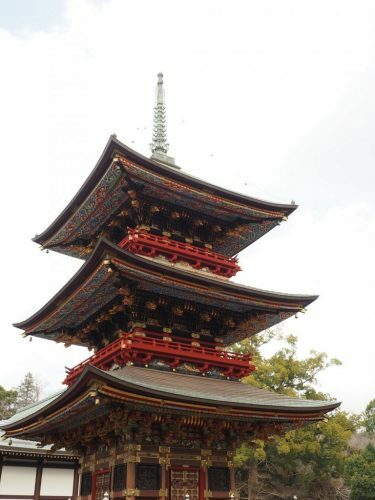 For a tour, go to the “Information Counter” in front of the big Three-Storey Pagoda. Tours are available between 10:00 and 15:00. 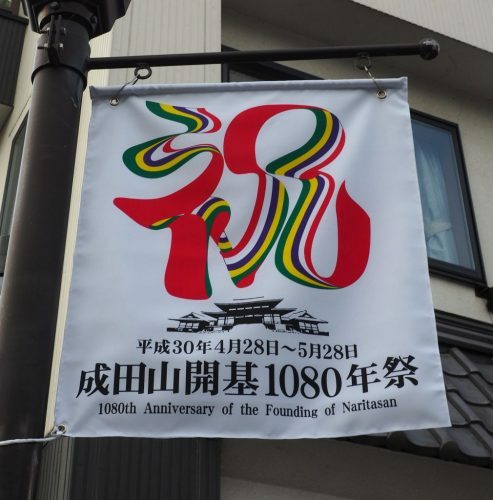 Check the Narita-san website for booking information. 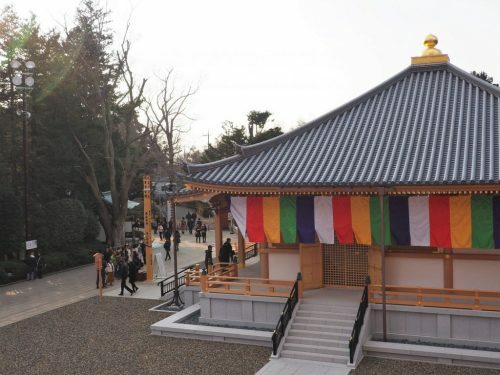 Three to four Buddhist ceremonies are held daily at Shinshô-ji, open to all. 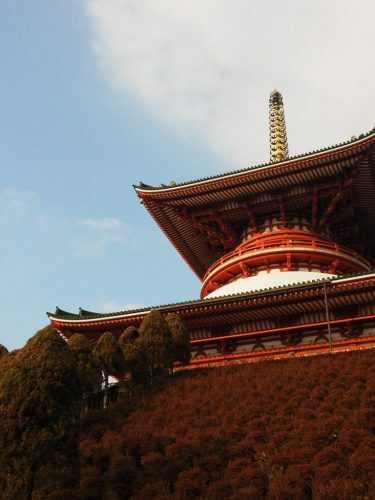 However, it is forbidden to film or take pictures of highly sacred places, out of respect for the religious practices of the Japanese. 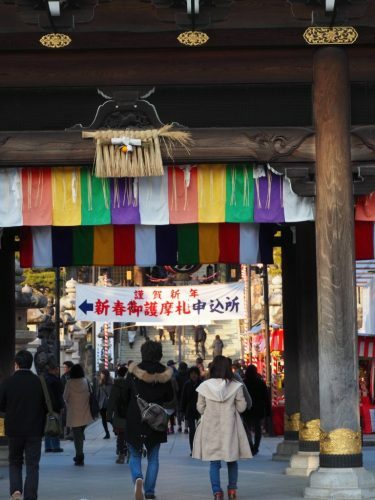 Nearly 3 million people visit Narita-san during the first three holy days of the new year. 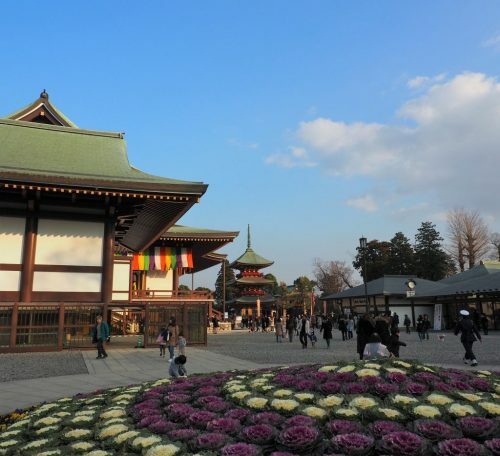 Overall, nearly 10 million visit Narita-san a year, making the site one of the most revered Japan. Before you leave, do not forget to take a mikuji fortune telling. If the gods are with you, keep your precious paper as a memory of your passage. In addition, if it’s a bad fortune don’t worry! 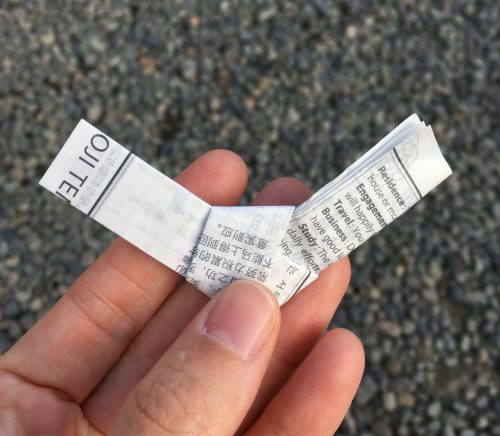 Just tie the white paper against a tree or string. 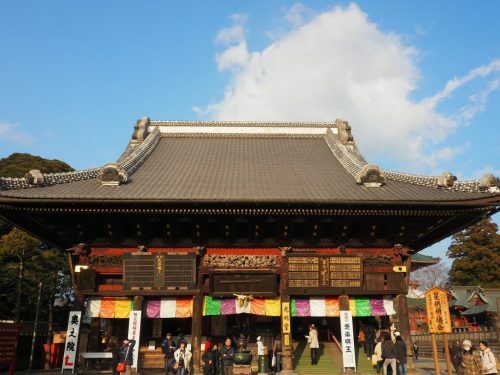 Many matsuri (traditional festivals) and cultural events punctuate the calendar at Narita-san. This year, April 28 to May 28, 2018, the city will celebrate the 1,080th anniversary of the founding of the temple. 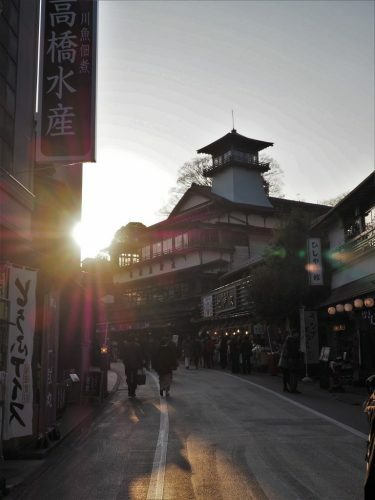 Whenever you visit Narita-san, it’s always exciting and enjoyable! 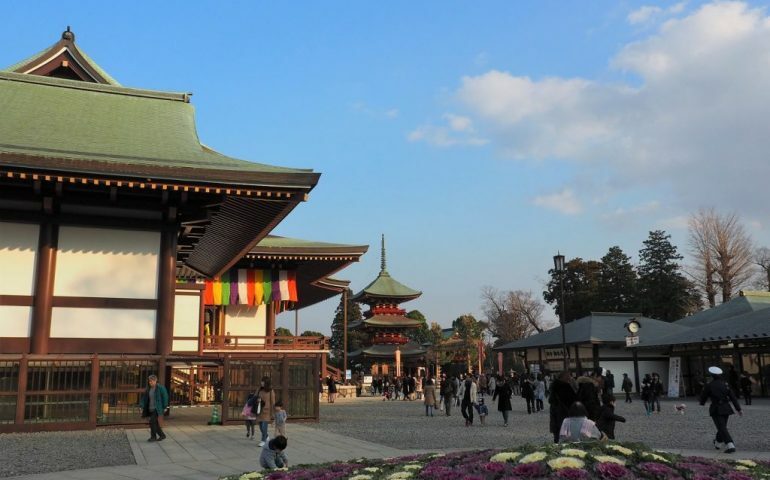 To reach Narita-san, from Narita International Airport, take the Keisei Main Line and stop at Keisei Narita Station, just ten minutes away. 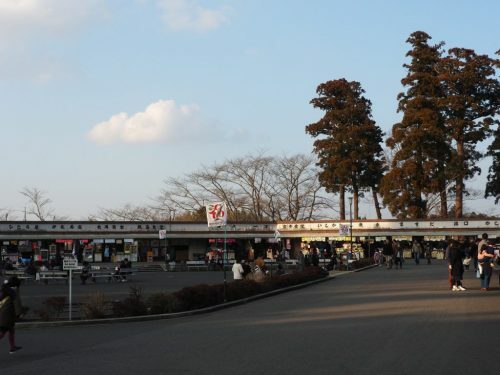 There are frequent departures from the Keisei train station within the terminal building. If you want to go to Tokyo from Narita International Airport, the Keisei Railway Company is the most convenient. 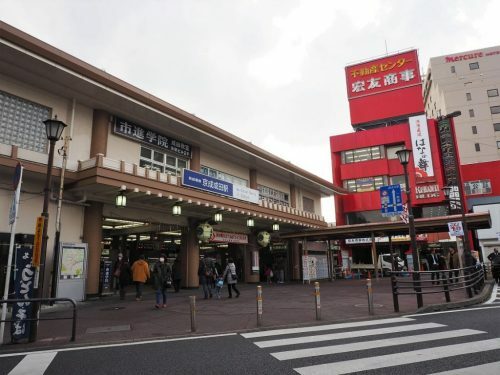 It has several lines to get you to Nippori Station, including the Keisei Skyliner. 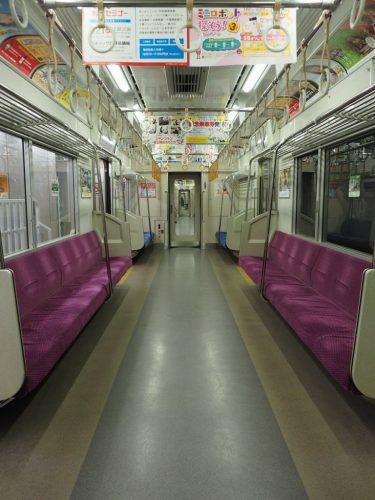 And, this train will also take you to Yanesen, an exciting traditional neighborhood in Tokyo. 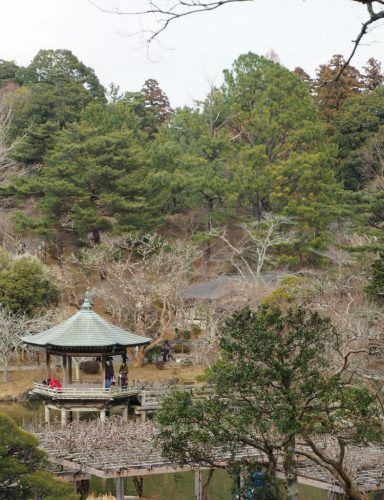 It takes just 36 minutes from Narita! 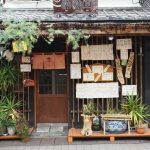 Keisei Railways offers a convenient transportation pass to discover the sites near Narita International Airport. It is called the Narita-Kaiun Pass. With this pass, a round trip will cost 480 yen, instead of 520 yen from the airport. Moreover, you will receive discounts and special privileges when you show this pass to stores on the Omotesando. 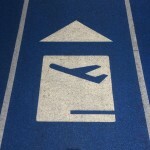 This pass is bought directly from the automatic terminals of the departure station. 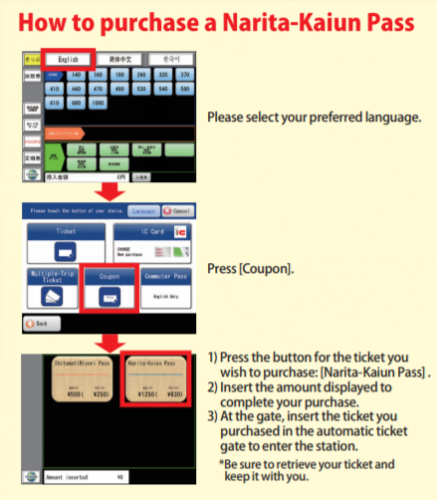 Therefore, be careful as you can not buy this pass at Keisei Narita station! In addition, this pass is only valid on the day of purchase. From Tokyo, you can also buy this pass at Keisei Ueno station (departure and terminal station for Keisei Skyliner ) or Nippori station. Though the price will necessarily be a little more expensive, you will still save money. 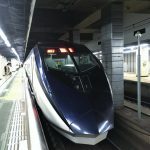 Overall, it takes about 1 hour 10 minutes to reach Keisei Narita Station from Keisei Ueno Station, using the Keisei Main Line Limited Express.